Her name is Hannah Reid. Born a commoner, she has been Duchess of Dunbarton ever since she was 19 years old, the wife of an elderly duke to whom she has been rumored to be consistently and flagrantly unfaithful. Now the old duke is dead and, more womanly and beautiful than ever at 30, Hannah has her freedom at last. And she knows just what she wants to do with it. 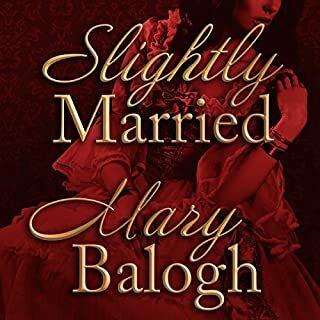 To the shock of a conventional friend, she announces her intention to take a lover - and not just any lover, but the most dangerous and delicious man in all of upper-class England: Constantine Huxtable. Constantine’s illegitimacy has denied him the title of Earl, so now he denies himself nothing... or so the ton would have it. Rumored to be living the free and easy life of a sensualist in his country estate, he always chooses recent widows for his short-lived affairs. Hannah will fit the bill nicely. But once these two passionate and scandalous figures find each other, they discover that it isn’t so easy to extricate oneself from the fires of desire - without getting singed. For the duchess and the dark lord each have startling secrets to reveal, and when all is said and done, neither will be able to say which one fell in love first, who tamed whom, and who has emerged from this game of hearts with the stronger hand. 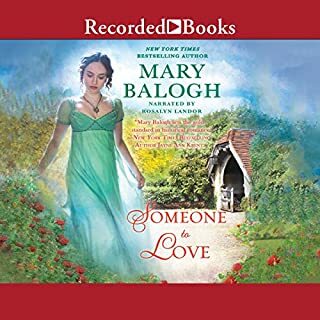 ©2010 Mary Balogh (P)2010 Brilliance Audio, Inc.
Way better than first reviewer's one! 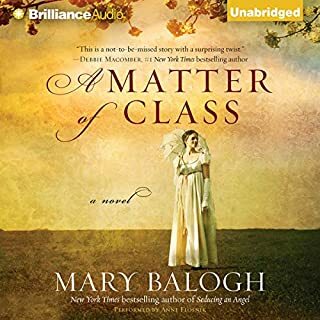 I'm not certain why this only got a one star rating, but I enjoyed it quite thoroughly - as I always seem to do, with Mary Balogh's novels! I confess that I was awaiting a match for "Con" (a character type I particularly enjoy) -- and that made it all the more exciting. I wonder if the reviewer did not care for the slightly stylized rendition that Anne Flosnik offers. When the story is good, though, she gives it "front stage" and allows it to shine on its own merit. Additionally, her tone is well suited to the dry, urbane humor that marks Balogh's works. I give it a four + -- probably mostly to allow a bit of room in case I need a future five -- and recall thinking that this is one I'll want to "read" again!!! I don't understand the 1 star rating. This is the first novel I have read from theis author and am going to read her other releases. The only reason it is not 5 stars is because of the narrator. She is a little stiff. Like a lot of romance novels, this one is predictable, unlikely and unrealistic. I don't mind any of those things in and of themselves (we are talking romanice novels here!) but this one was pretty dull as well. There was no brilliant command of language, situation or character to give the story life, only the predictable misunderstood heros and heroines who all find each other in the end, besides becoming wealthy and titled along the way. warning... You may need tissues. Great story! Great dialogue and character development. Emphasis on values of the main characters are refreshing without having a religious undertone. Just simple kindness and mindfulness. I cried. Great chemistry and enough sizzle as well but not overdone. highly recommend. Anne Flosnik is terrific! This is the best of the series. Con and Hannah both had secret pasts. The unveiling was very entertaining. There was nothing the slightest bit interesting in this book. Characters unlikable, tedious, boring, unnecessary dialogue. 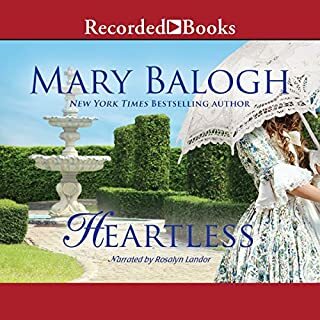 I usually like books/stories by Mary Balogh, but this is terrible. I had a 14 hour drive so I downloaded for the trip. Unfortunately, I didn't notice Ann Flosnik as the narrator. Her inflection is annoying. I don't listen/purchase books if she's narrating. I've listened to all in this series so far. Has been awhile since the 4th book. Found myself really liking both main characters in this story. Hannah was surprisingly likable, certainly not what I expected. There were funny moments when I laughed out loud. Loved the interactions with her friend from childhood, the 'shocking' things people thought about Hannah and how she maintained that facade. I liked this narrator better than in the past. I have many books narrated by her. This one she didn't drop her sentence endings as much as others. Thought she did a good job with the different characters. Overall highly recommend this book, this is one of my favorite authors. This is a great addition to the series. You will fall in love with Con - no doubt. Hannah is a wonderful character as well. The Narrator of this story has a voice of silk & satin. The story is a good example of the ways some cope with betrayal, hiding behind "personalities" to protect themselves. It is also a story of the gaining of wisdom that comes with age, and forgiveness of betrayals unintended. Like the other Huxtable stories, full of surprises, wonderful characters slowly divulging their secrets. Hero and heroine showing strength and depth. Delightful to the end. I miss them already! The book was spoiled for me by the narrator her voice seemed forced. I was also irritated by the number of "he said she said" bits, it shouldn't be necessary to add these.